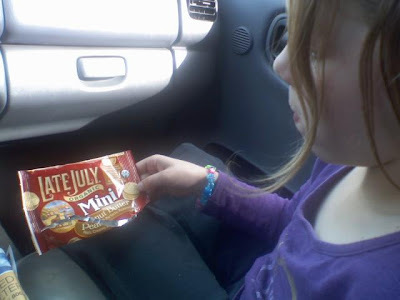 I was happy to be able to review Late July Organic Snacks! "Late July is a moment in time when life is simple, pure and good. It’s also our name and our life philosophy." Do you know all of Late July’s products are produced without synthetic pesticides, chemical fertilizers, genetic engineering, antibiotics or added growth hormones. 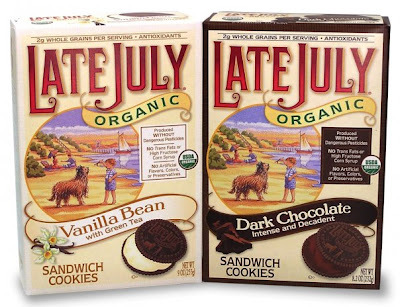 "Late July Organic Snacks is a family owned and operated company that cares deeply about family and the integrity of our products. Not only are all our products certified USDA organic and proudly wear the organic seal, but on any given day you can find three generations at work including six-year-old Stephen and two-year-old Benjamin. We all hope you enjoy our snacks!" have endangered animals prints on them plus 10% of these profits go to the Jane Goodall Institute to help with their efforts in endangered animal awareness! They also have saltine and classic rich crackers available. Find Late July nutritional facts, online at Facebook, and for Shopping their products! 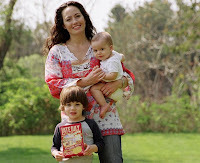 Find Late July snacks near you or check your nearest Toys R Us, Babies R Us, Henry's, Sprouts or Whole Foods place. You'll have to excuse the lack of my photos, Mr. had my camera for work so I only have these 2 photos. We were sent 1 of each of their cookies and crackers for review. We split them all up, but I was only able to sample a few flavors. Some I sent off to school as snacks. 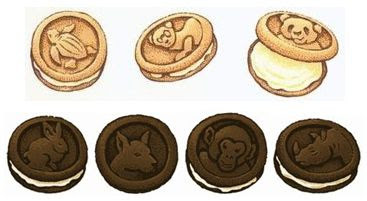 The kids liked the Mini Milk Chocolate Sandwich Cookies and the Mini White Chocolate Sandwich Cookies which have endangered animals prints on them. Those are fun! I really loved the Organic Dark Chocolate Sandwich Cookies, they were chocolaty, crunchy and just total Mmmm! The crackers to the Organic Peanut butter Sandwich Crackers were so crispy and delicious! Even Mr. commented on them. However, they were lacking a peanut buttery taste. Overall I was pleasantly surpised how flavorful and wonderful these snacks are! We all enjoyed them and will be looking for these on the shelves. 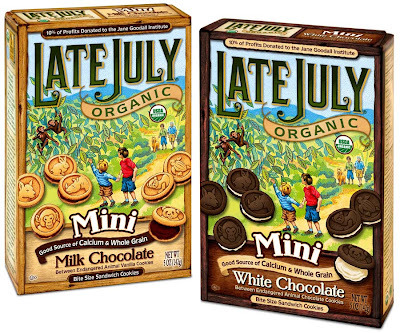 I also love the fun packaging of Late July Organic Snacks, it has a nostalgic feel which I love. I wrote this review for "Mommy? I'm Hungry!" 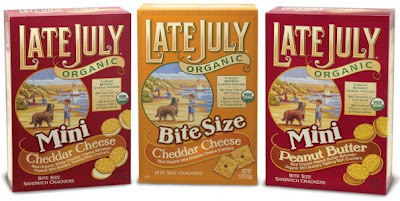 about Late July Organic Snacks. I received free product for this review. Stock images/info provided by PR/website. All opinions for this review are that of myself & family. You're the best reviewer ... EVER!